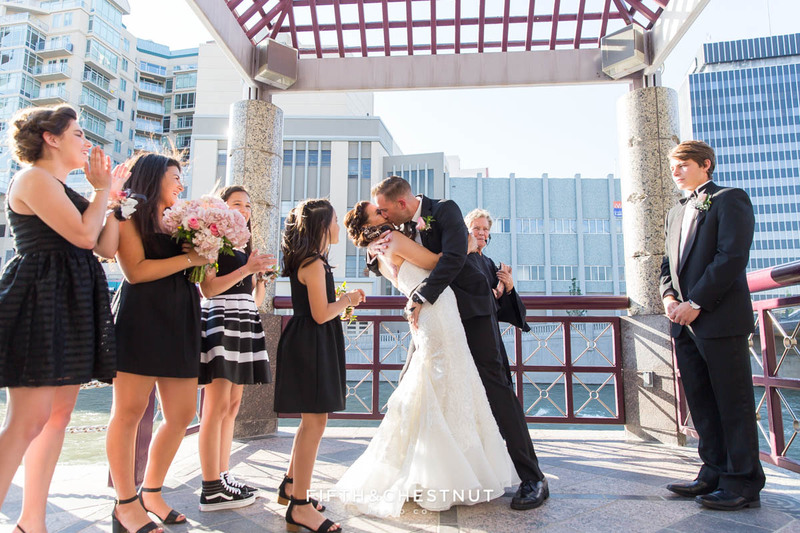 I had an absolute blast with Emily & Neeraj, plus their closest friends and family for their intimate Tahoe Tavern Properties wedding. 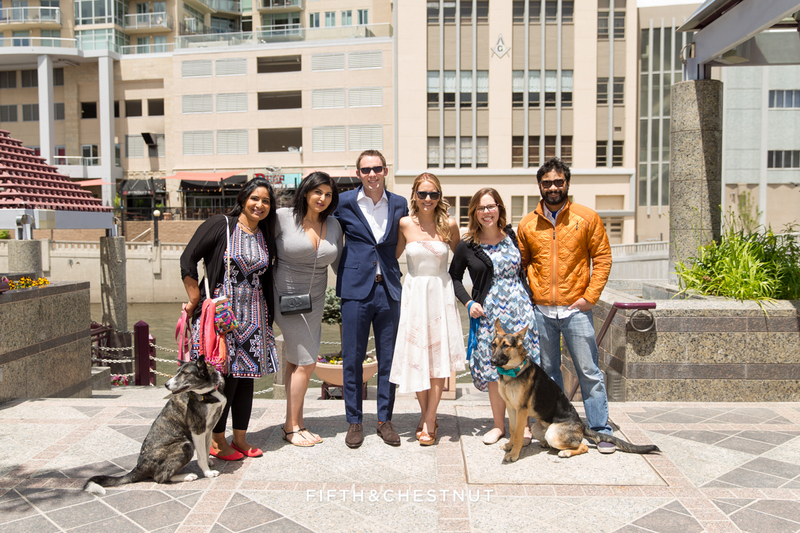 Emily and Neeraj chose to do a first look before heading down the pier for their lakeside ceremony, officiated by Rev. 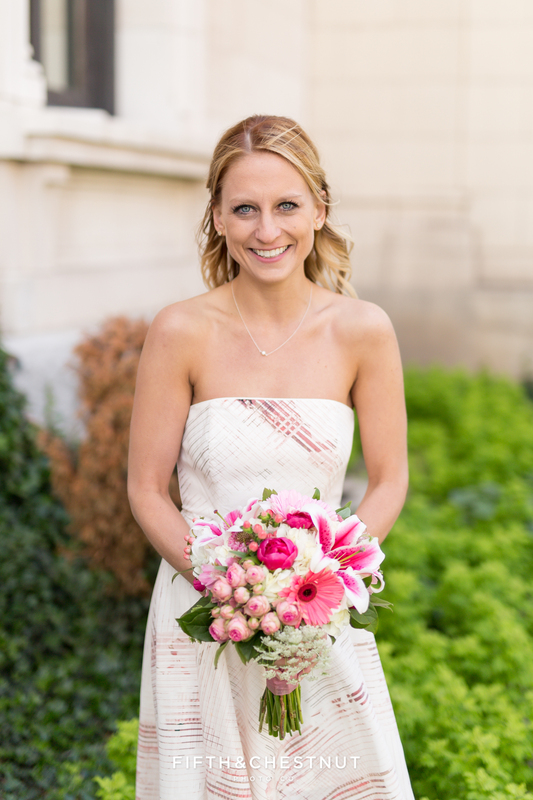 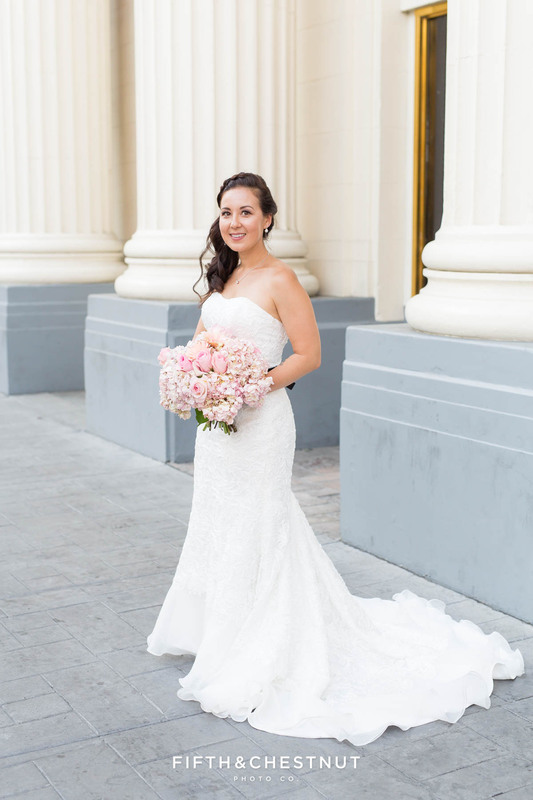 Christa Deane of Mountain High Weddings. 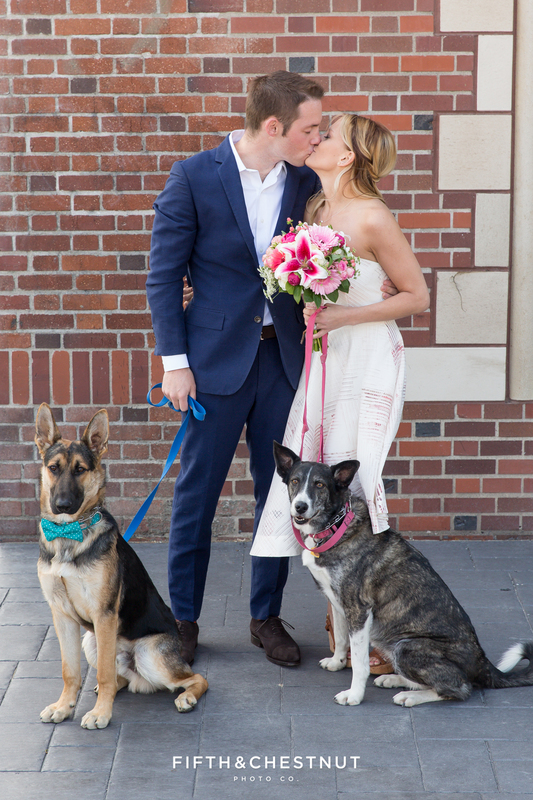 And I’m so glad they did! 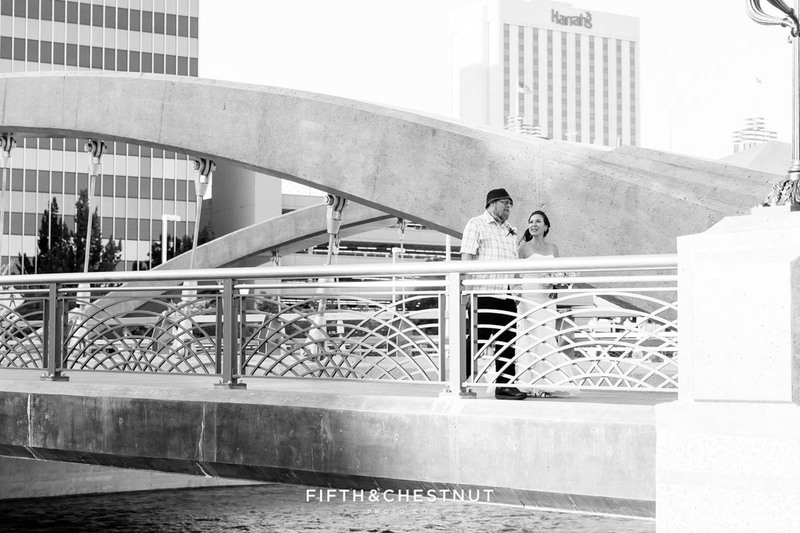 Neeraj’s reaction was amazing and it was really fun to watch! 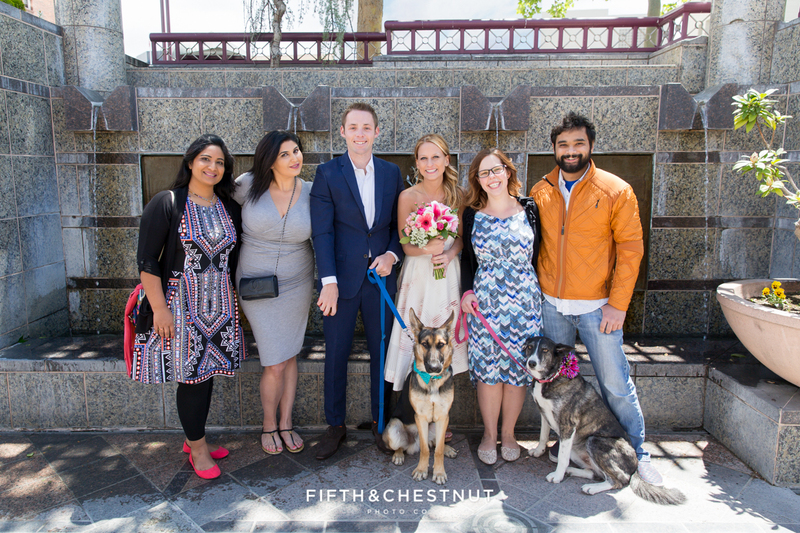 After the first look and some portraits among the beautiful scenery, Neeraj and Emily greeted their guests. 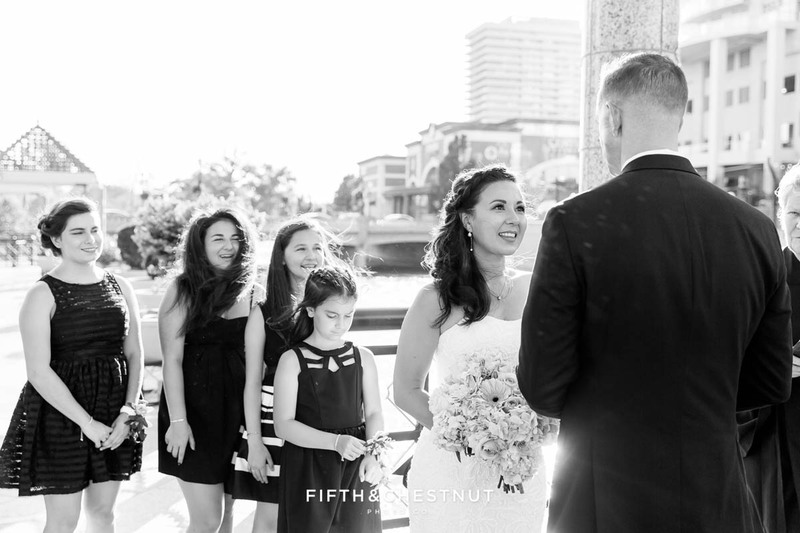 Then they all walked down the end of the pier together in a march I’ll never forget! 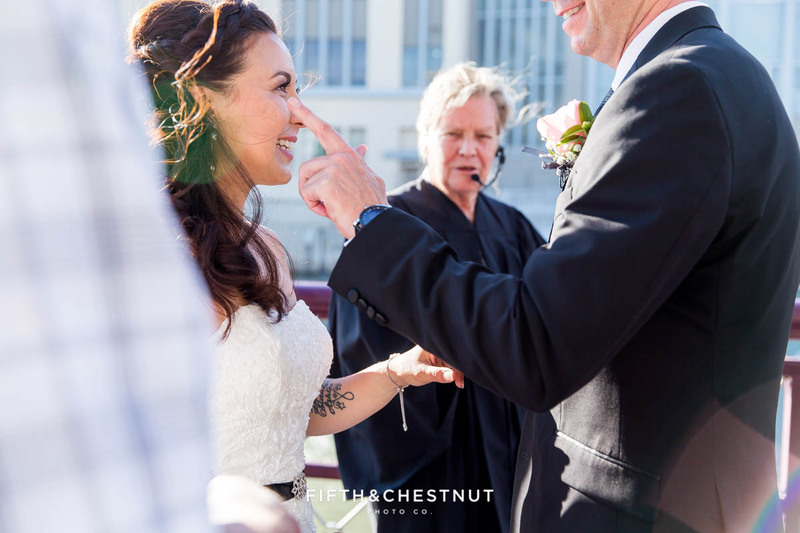 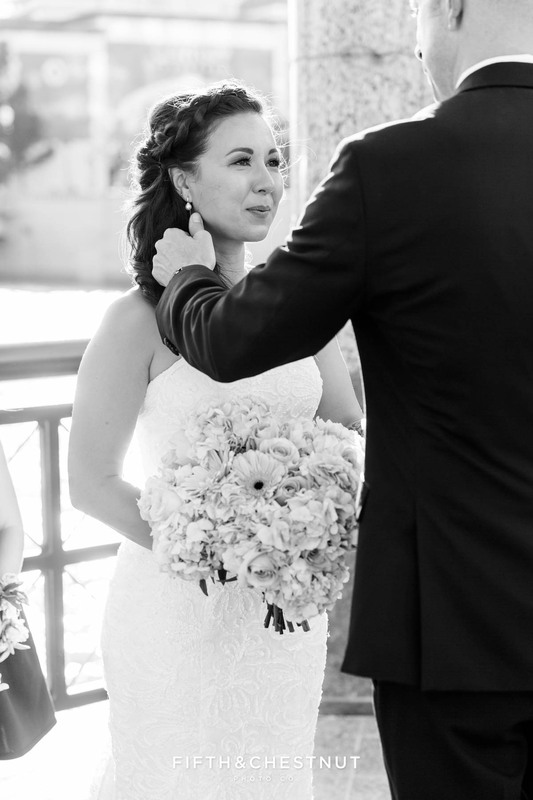 Their ceremony was so beautiful and sweet – on the edge of Tahoe’s very blue waters. 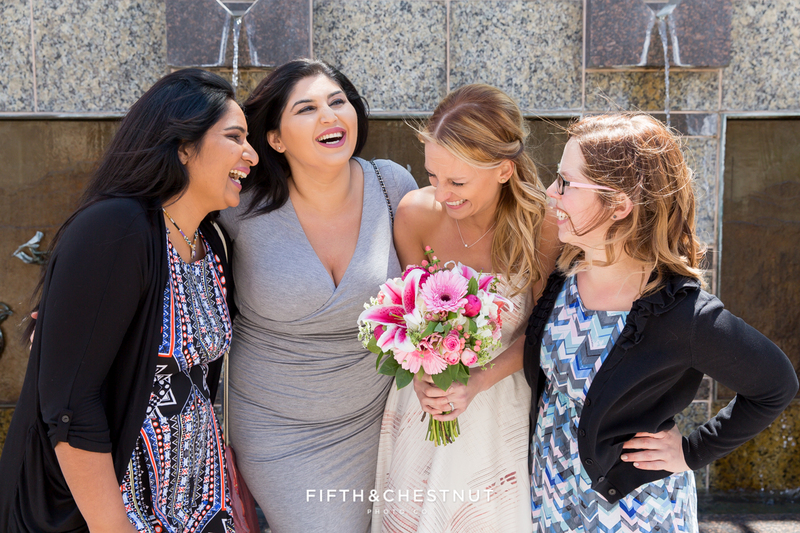 There was laughter and joyous cheers as Emily & Neeraj were wed…and although I didn’t include all the pictures in this blog post, we got many wonderful photographs with their friends and family. 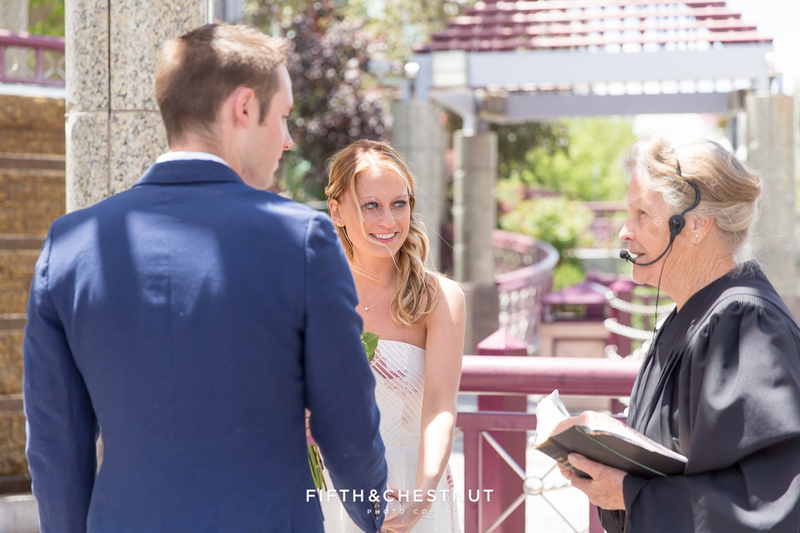 Afterward, everyone headed back to the pool and patio for drinks, appetizers and a delicious dinner by As You Wish Catering. As the sun set, I finished up my evening with this fabulous couple with a few shots of their lovely wedding cakes and desserts. 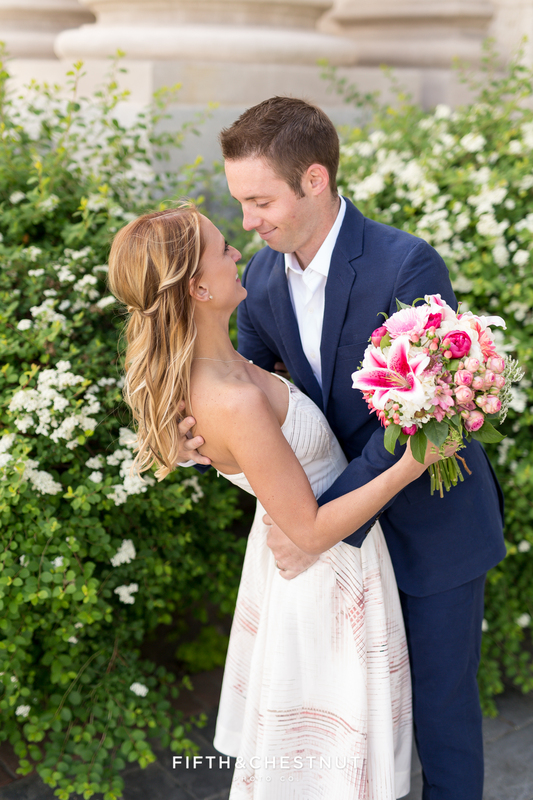 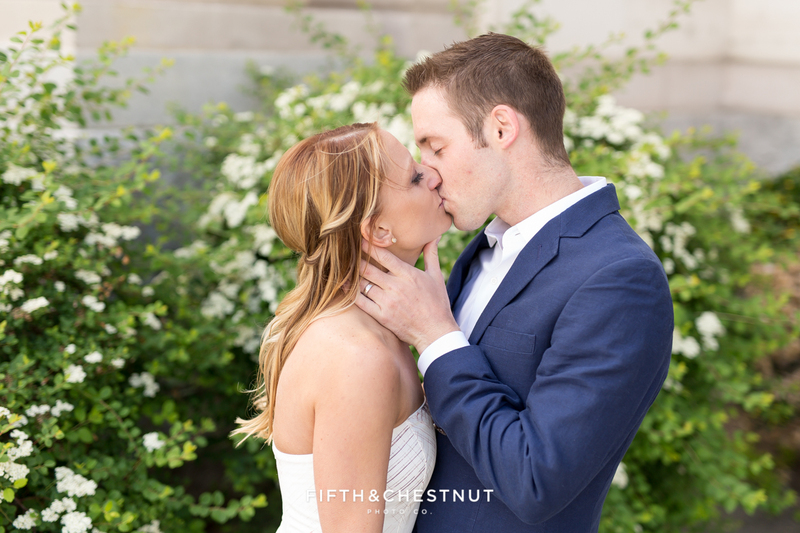 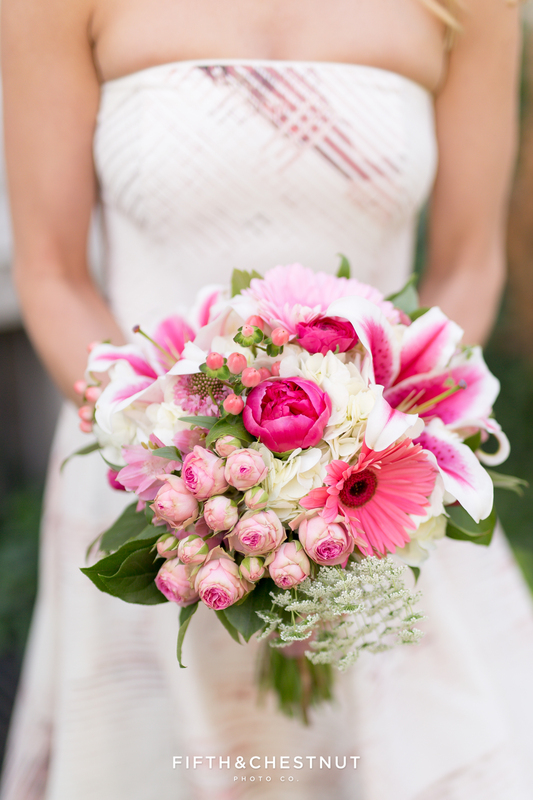 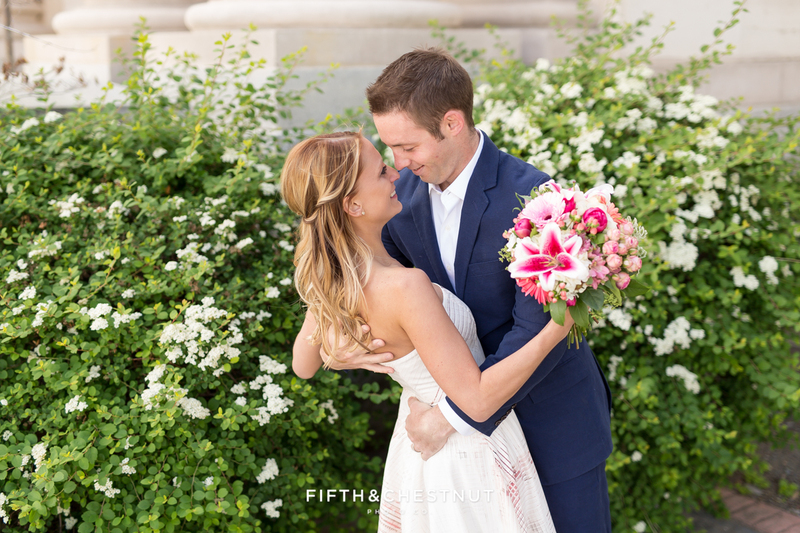 I headed home with a happy heart – excited to edit these beauties! 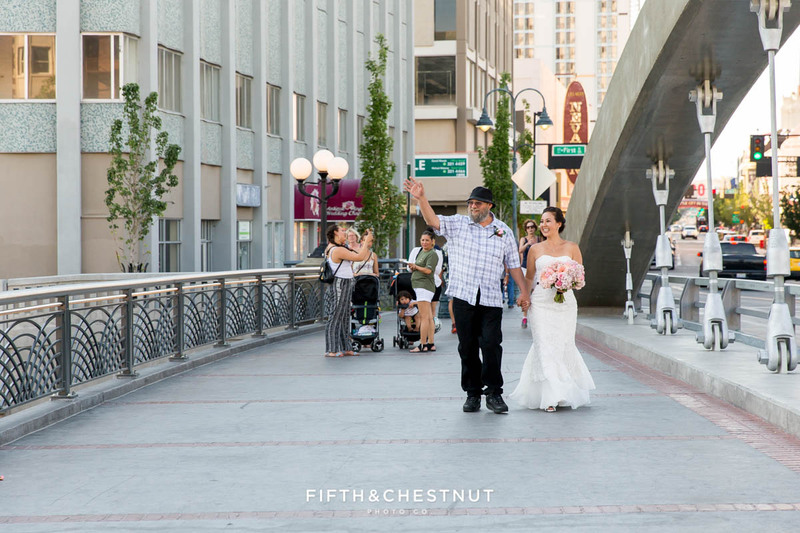 Kim and Daniel’s Downtown Reno elopement witnessed by close friends and family was one of my favorite evenings so far this summer. 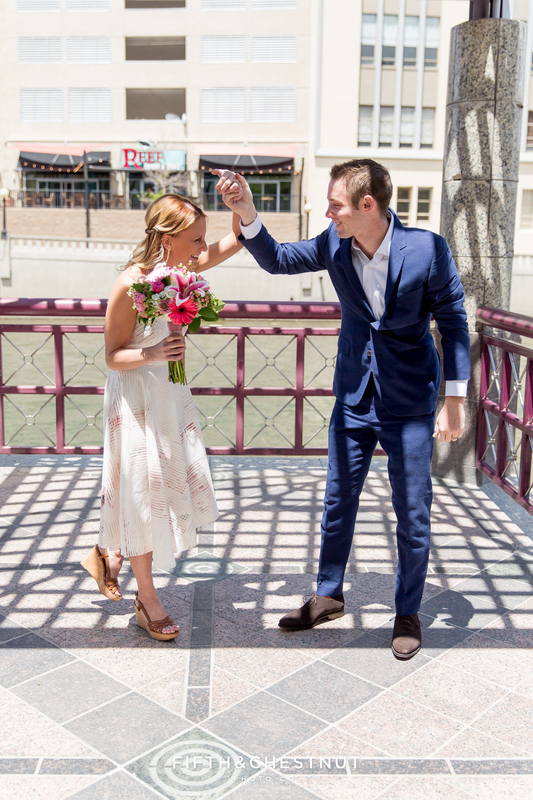 They are so cute and fun together that it was easy to get some really funny candid moments with them! 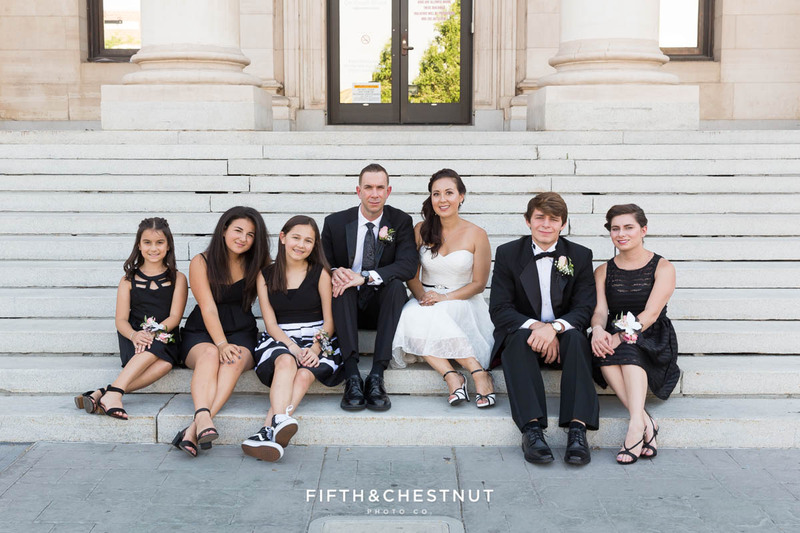 Their kids were also great sports the whole time, which I always appreciate! 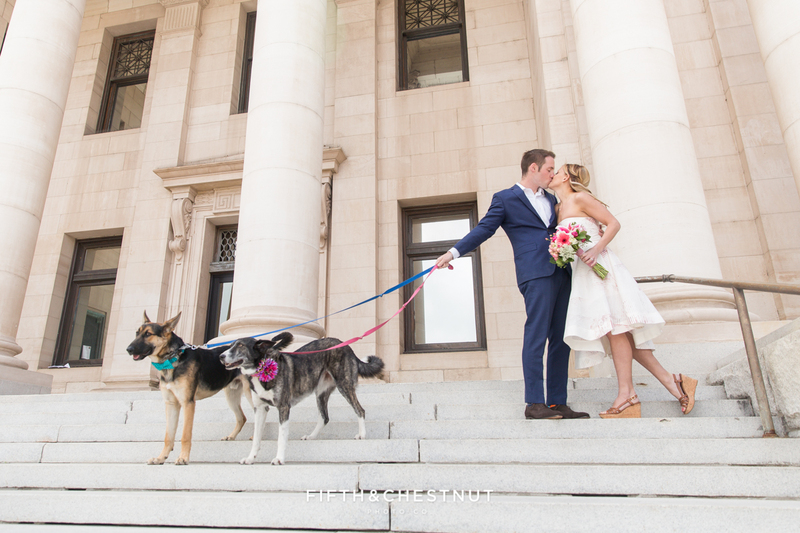 Before their ceremony with Antique Angel Wedding Chapel at the river location, Kim and Daniel (plus kids) walked around the courthouse areas for portraits with me. 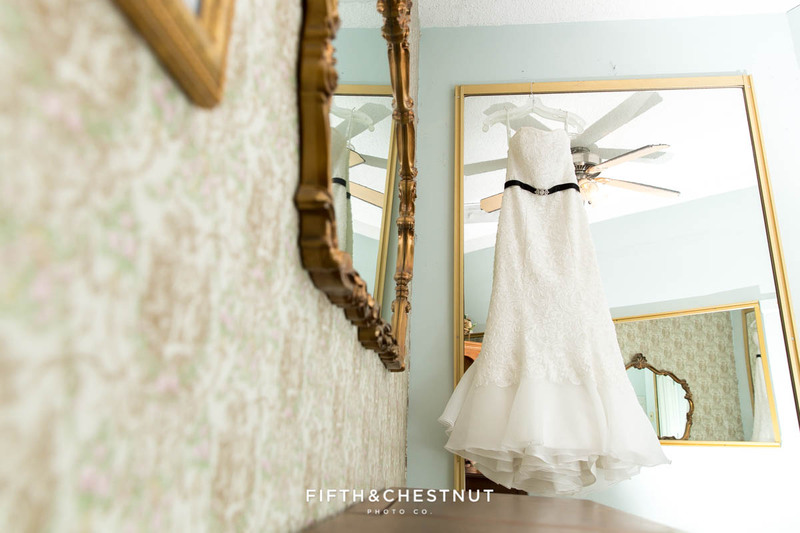 Kim had a stunning tea length dress for this portion of the day, which I LOVED. 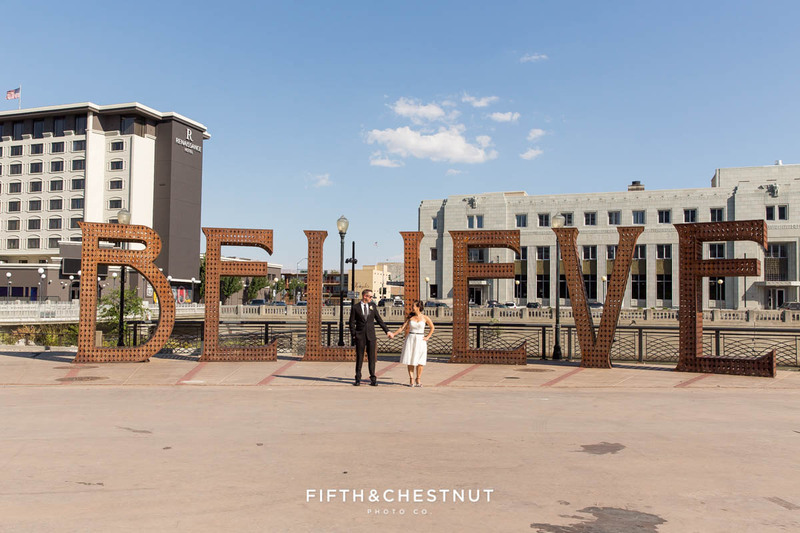 We even made our way to the BELIEVE installation across the street. 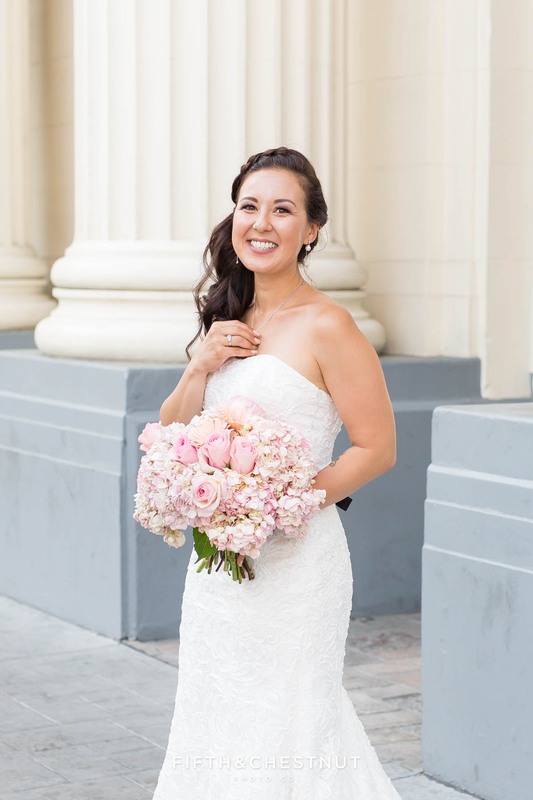 Kim then changed into her equally stunning long wedding gown for the ceremony. 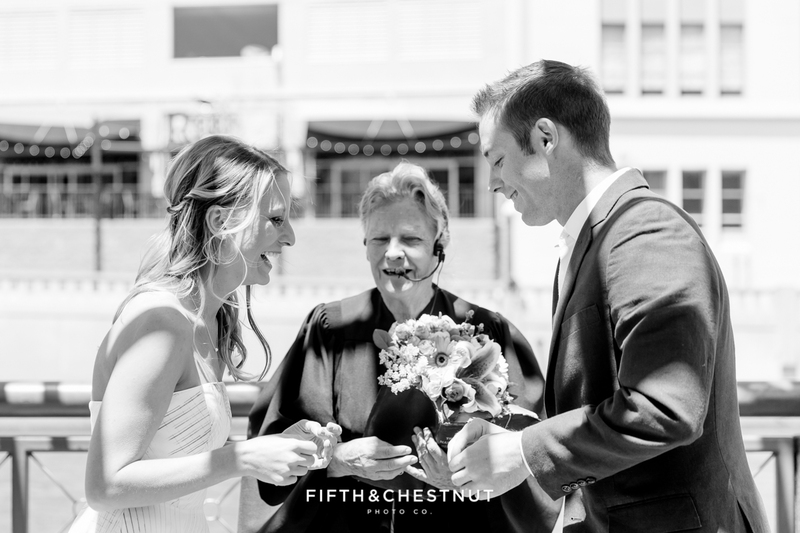 It was fun for me to capture their sweet ceremony as their friends and family smiled from the sidelines. 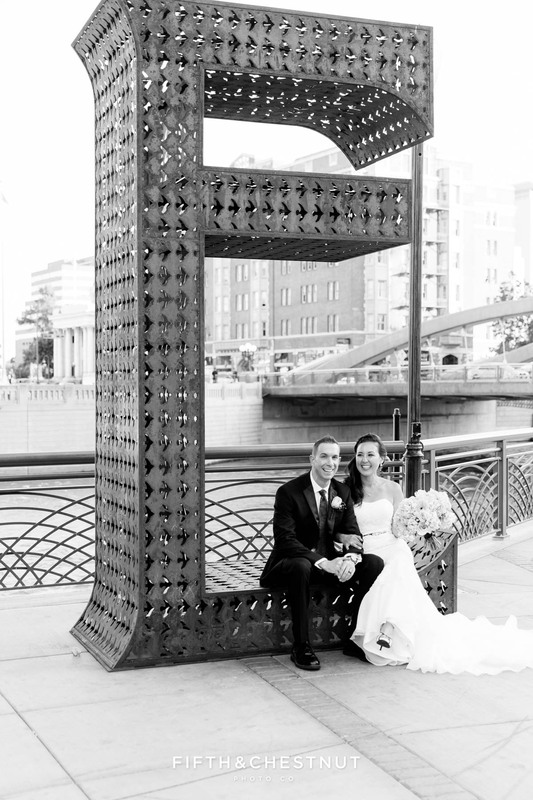 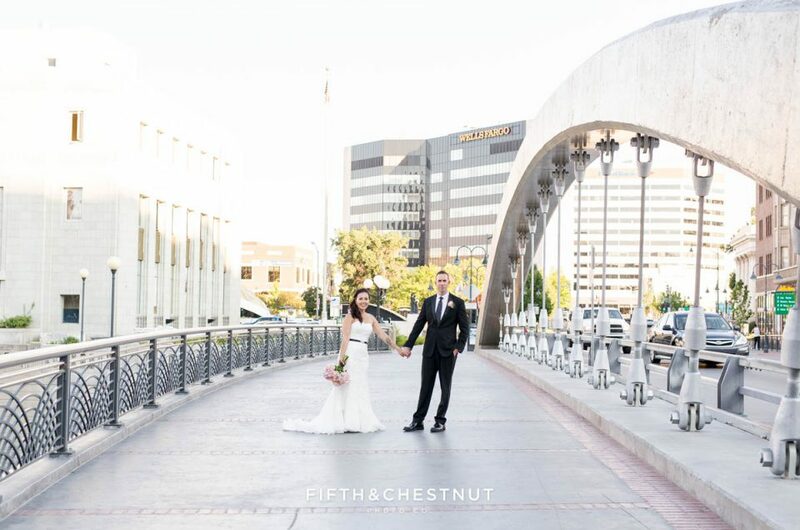 Afterward, we captured more portraits of the couple on the Virginia Street Bridge, the BELIEVE installation and the iconic Reno Arch. 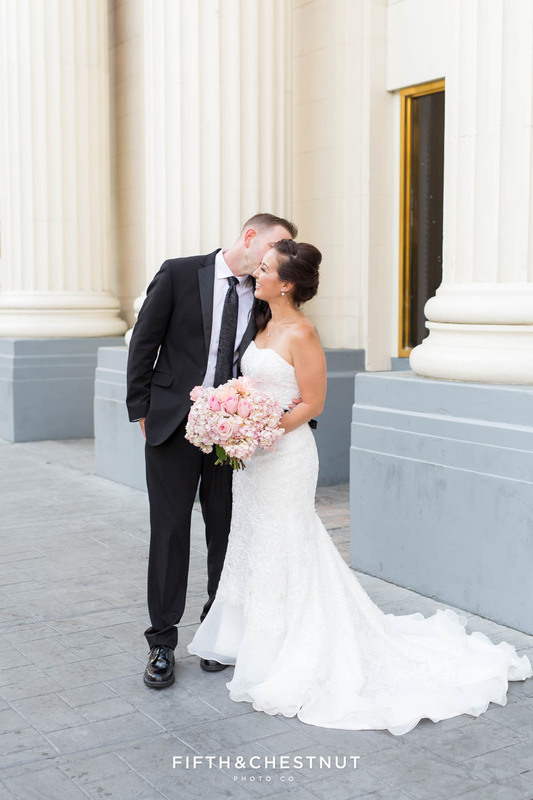 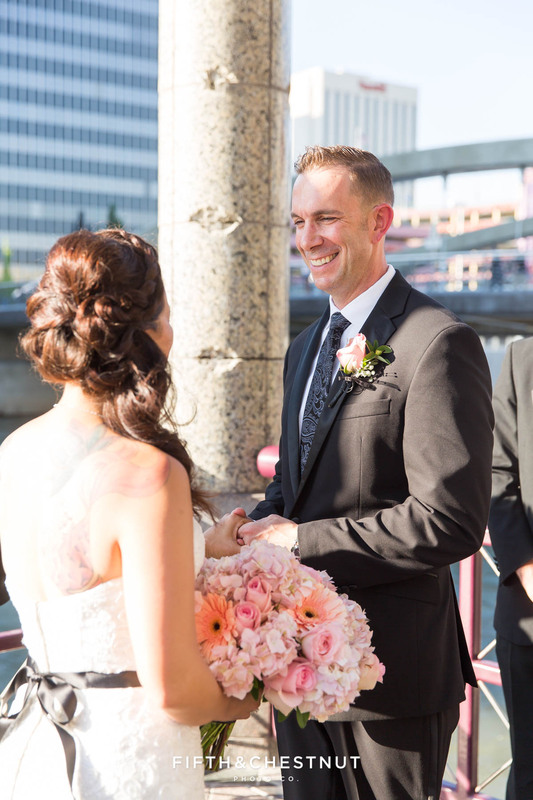 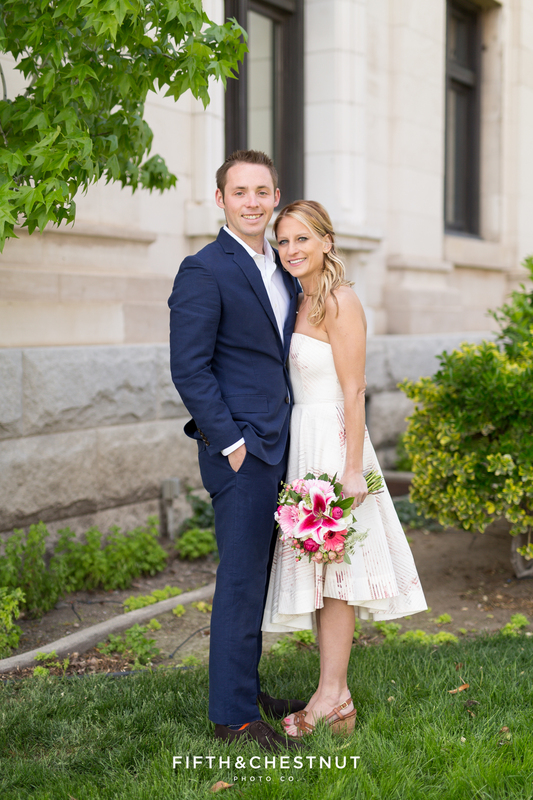 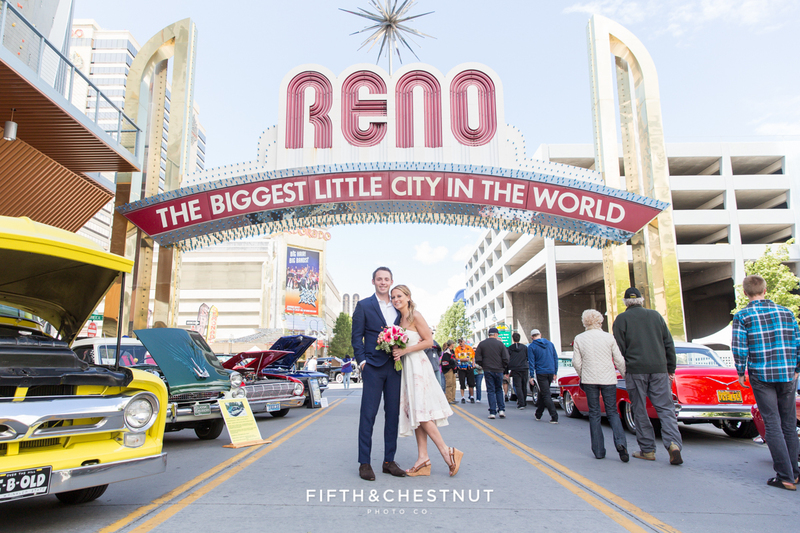 Mike and Stephanie had a traditional wedding ceremony in Pennsylvania where many friends and family members are located, but first they had to get married legally with a Downtown Reno elopement. 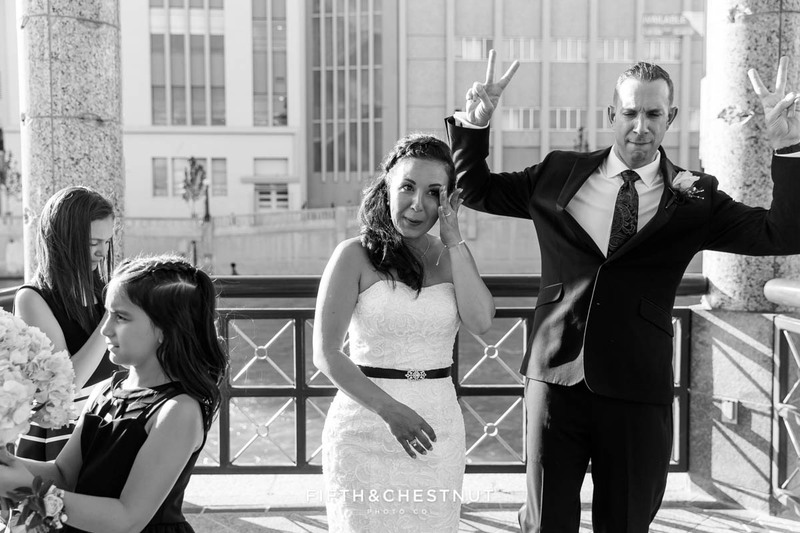 Whereas some couples choose not to get this momentous occasion documented, I’m SO glad that Mike and Stephanie knew how important it is to capture this day. 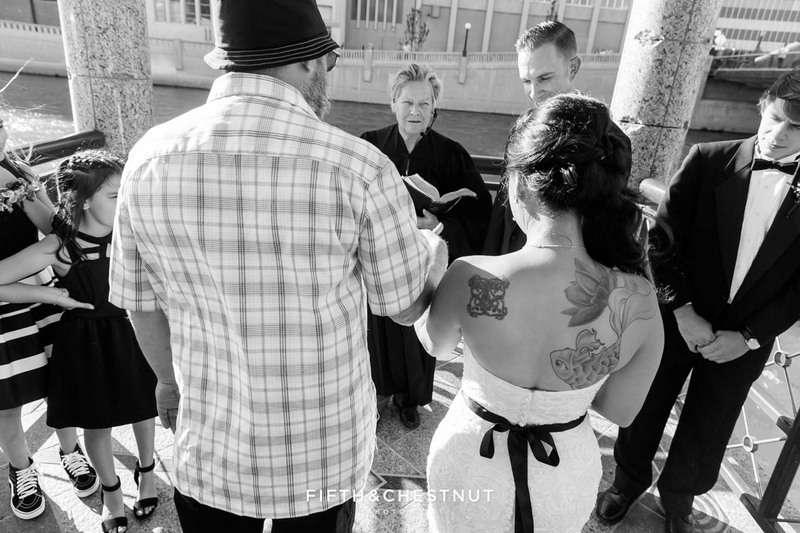 And I say that especially as someone who got legally married at the Justice of the Peace on a random Thursday the week before my “real” wedding. 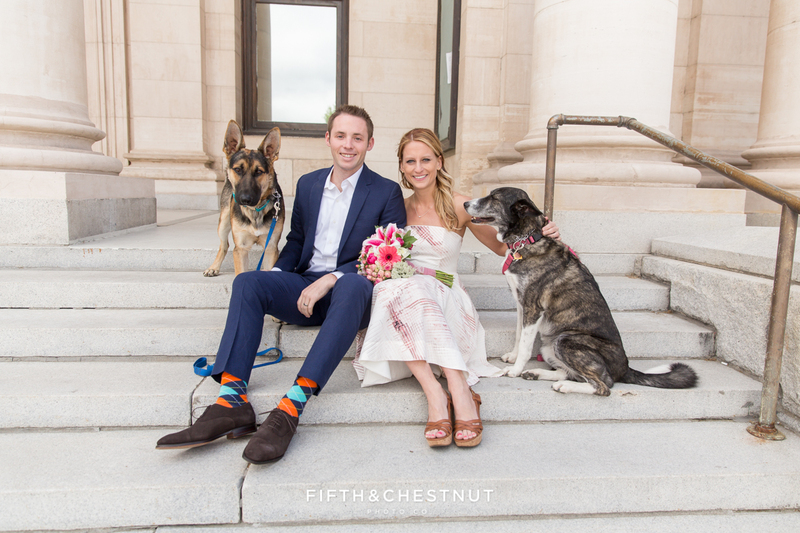 I REALLY wish I had asked someone to photograph our legal wedding – because my husband and I are obviously totally elated in our iPhone pics and I can only imagine how epic some professional photos would have been! 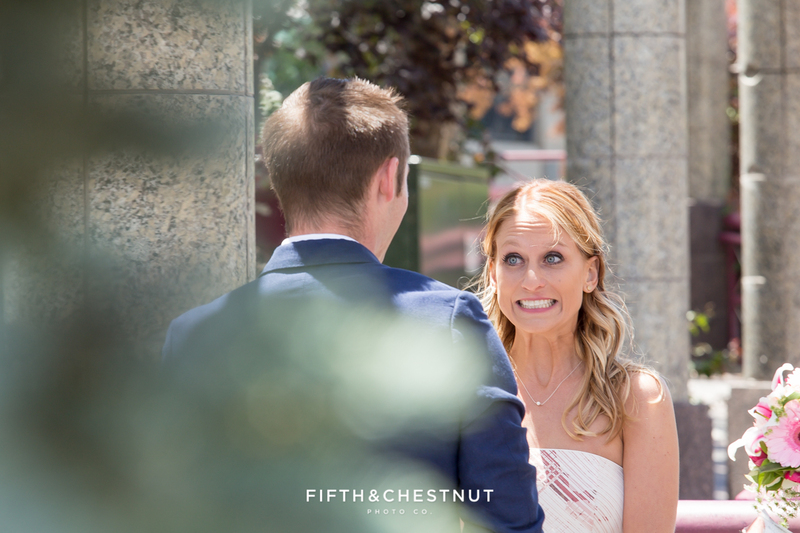 It definitely would have been an amazing opportunity for portraits…documenting how happy we were in that moment. 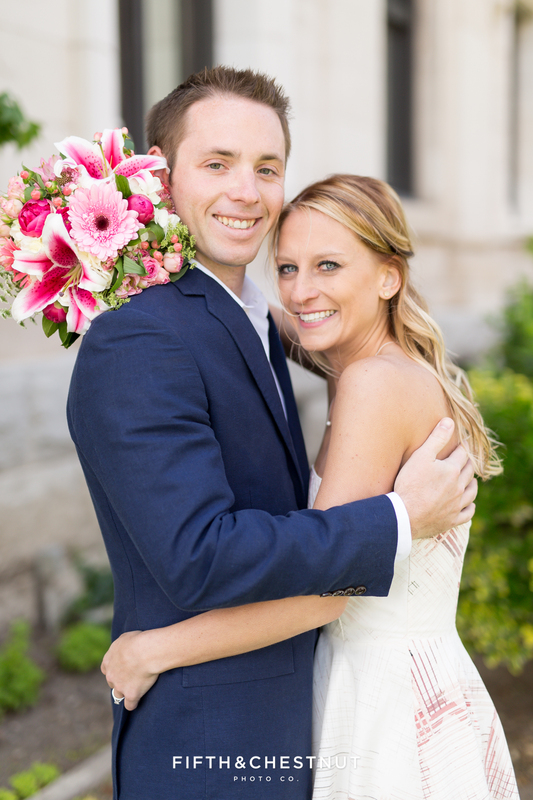 Anyway, enough about me and back to this awesome couple! 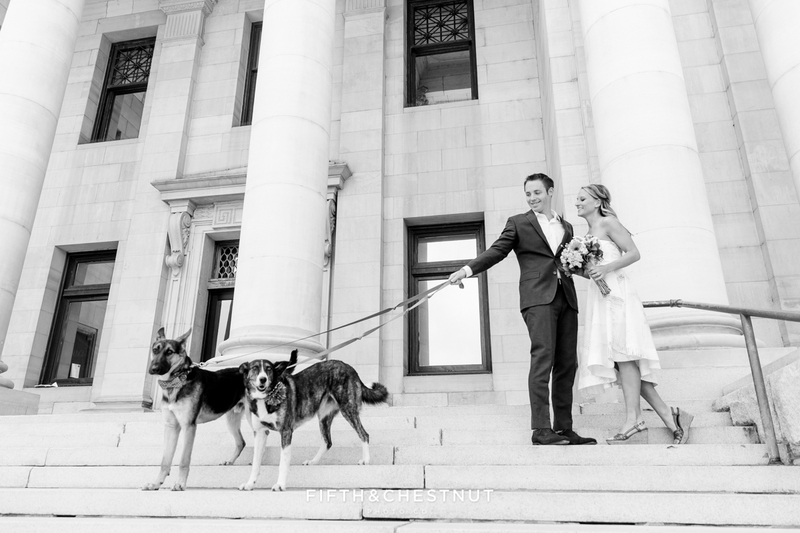 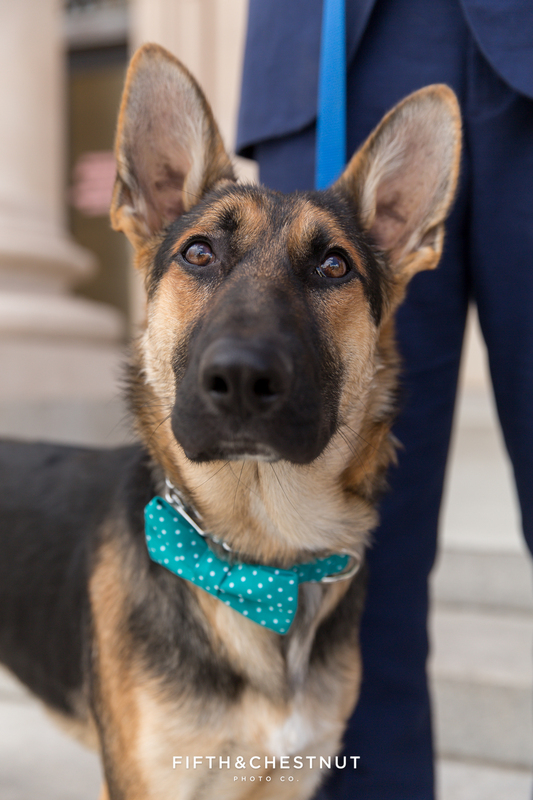 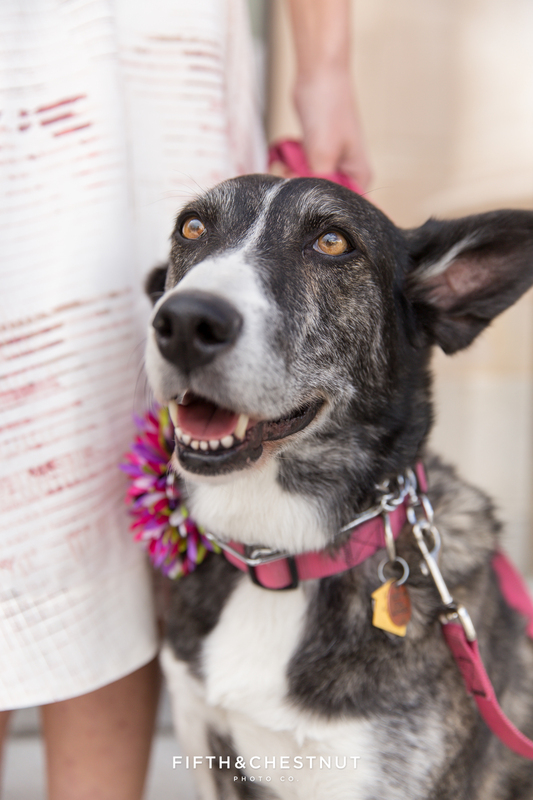 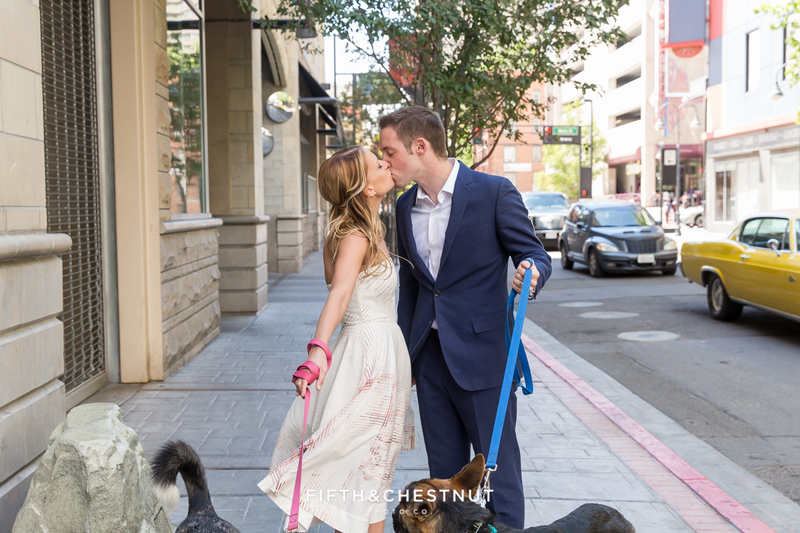 On a very windy and cold, but sunny day in Downtown Reno, they said “I do” in front of a few close friends and their two dogs, Bodhi and Lucy. 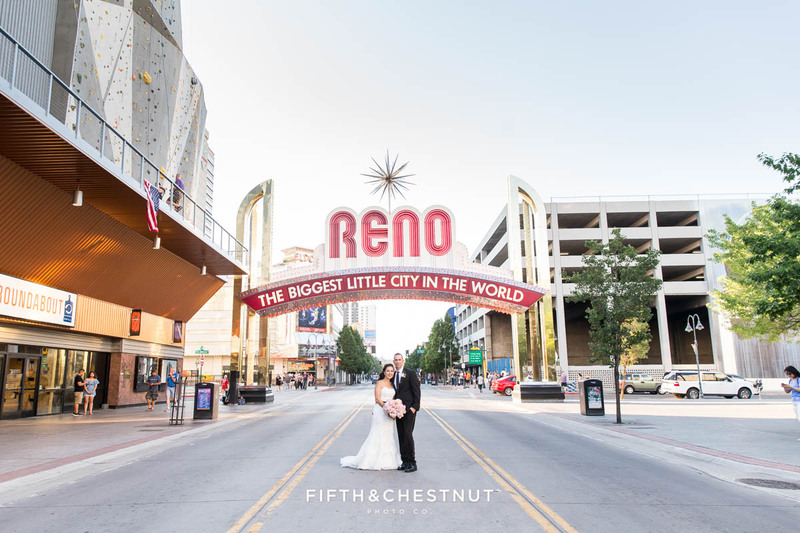 We adventured in the Downtown area, going from the Wild River Grille area down to the courthouse, up to Wingfield Park by the river and then around the block to the always classic Reno arch. 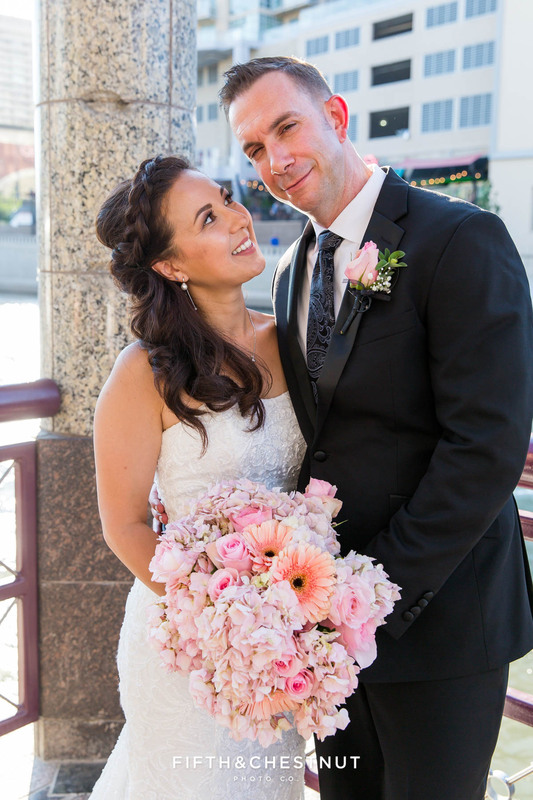 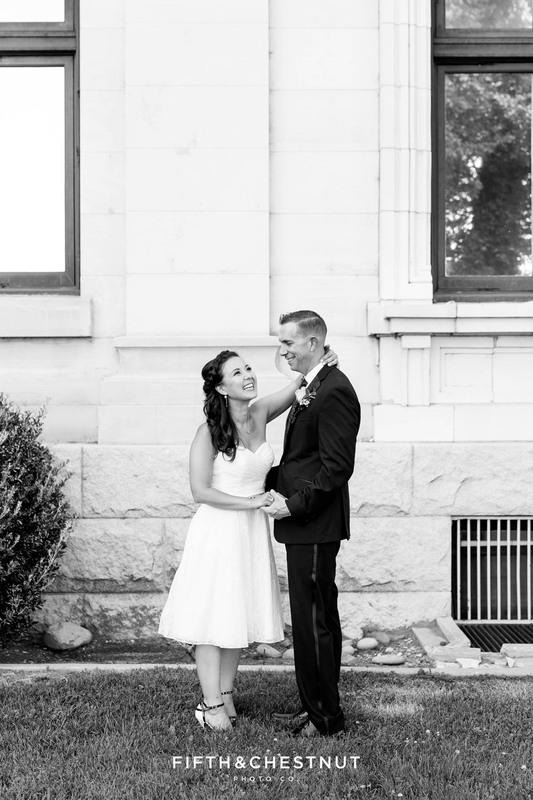 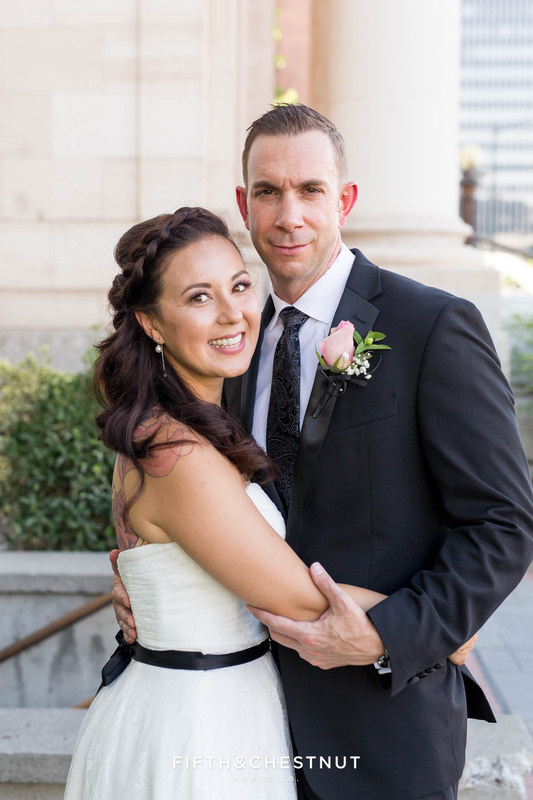 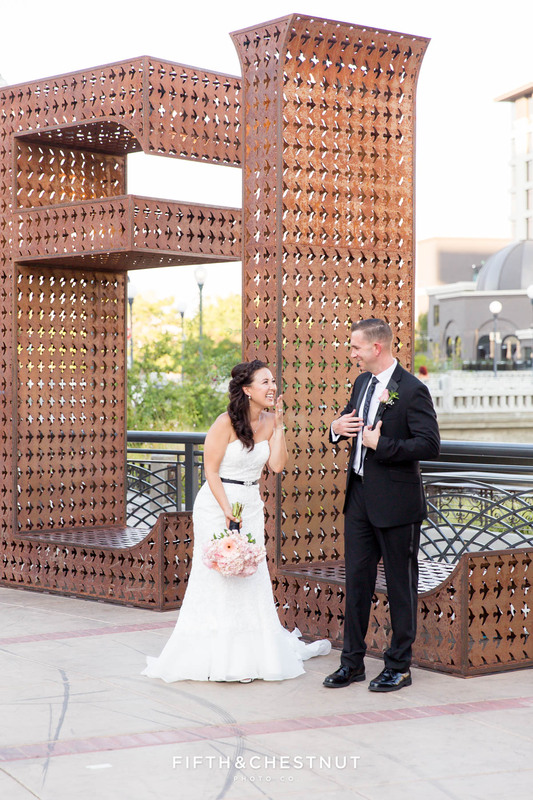 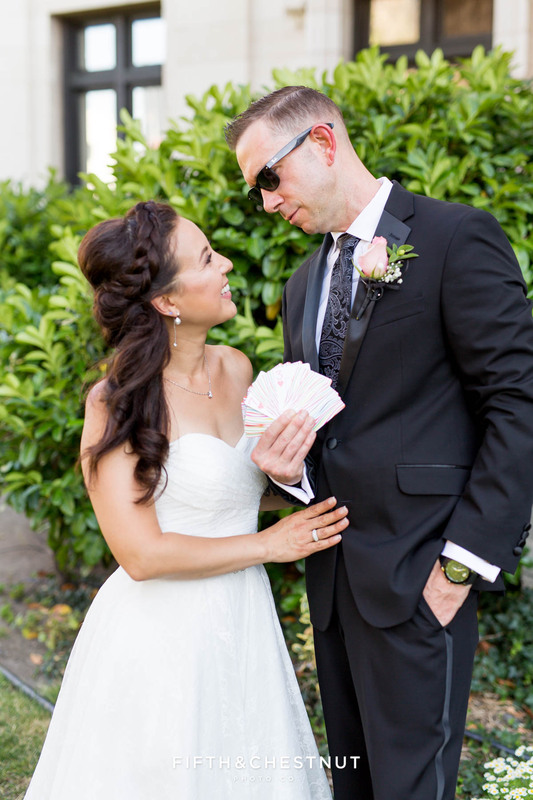 Mike and Stephanie are so laid back and were just glowing on the day of their Reno elopement. 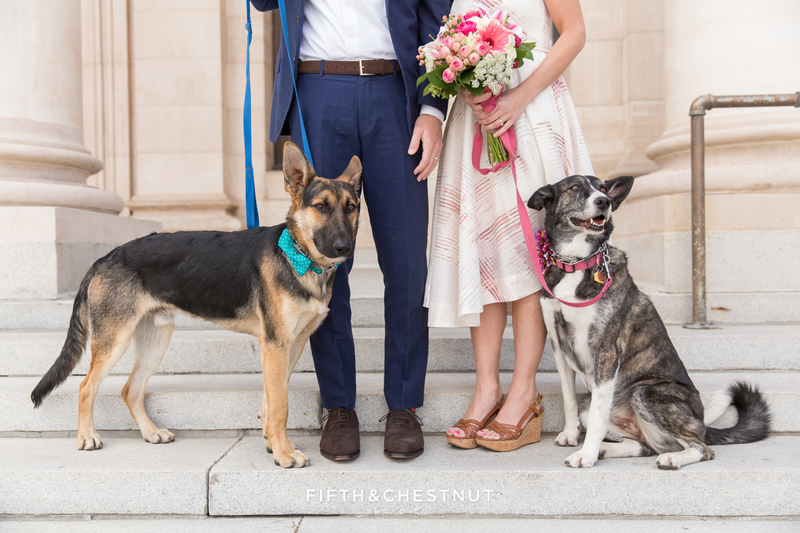 And I truly adore that they wanted their two dogs to be involved in the portraits. 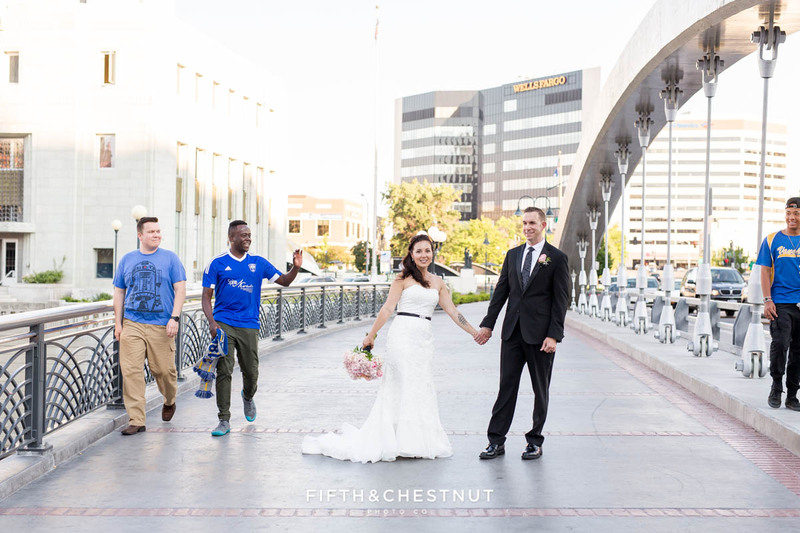 That’s especially something that’s hard to do on a traditional wedding day. 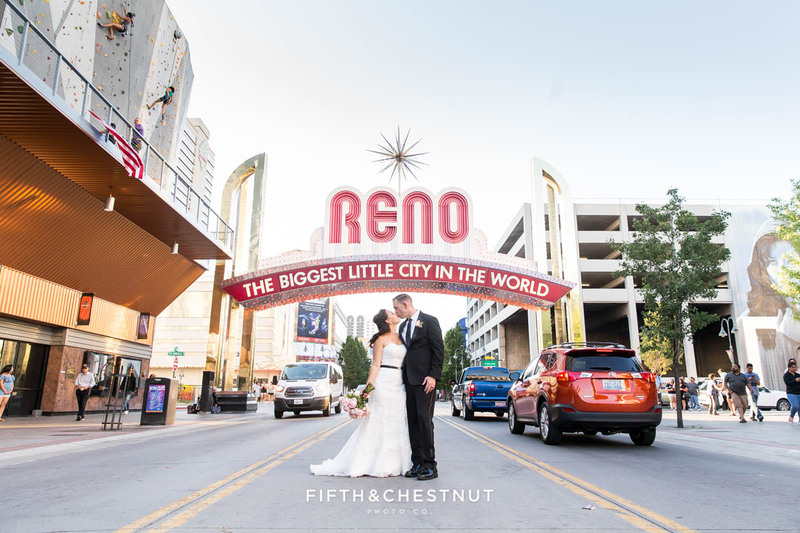 I’m sure they had a fabulous wedding back in Pennsylvania, and I’m so proud and honored to have documented their legal wedding in Reno! 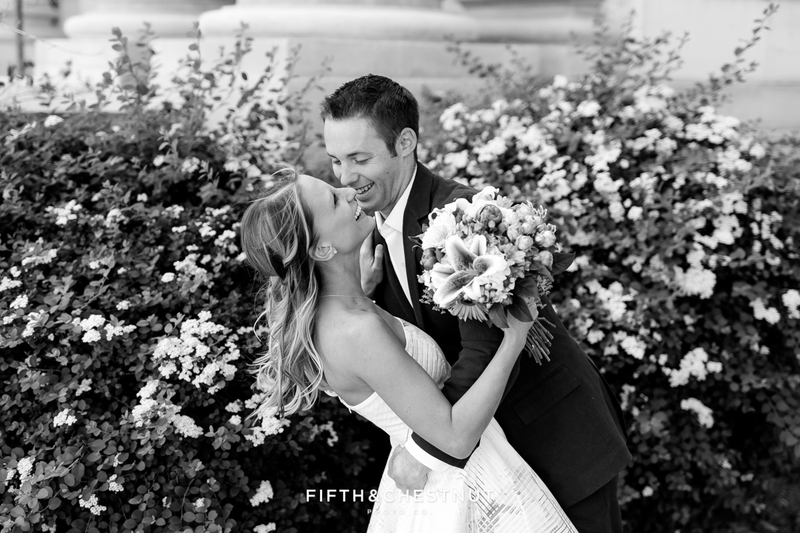 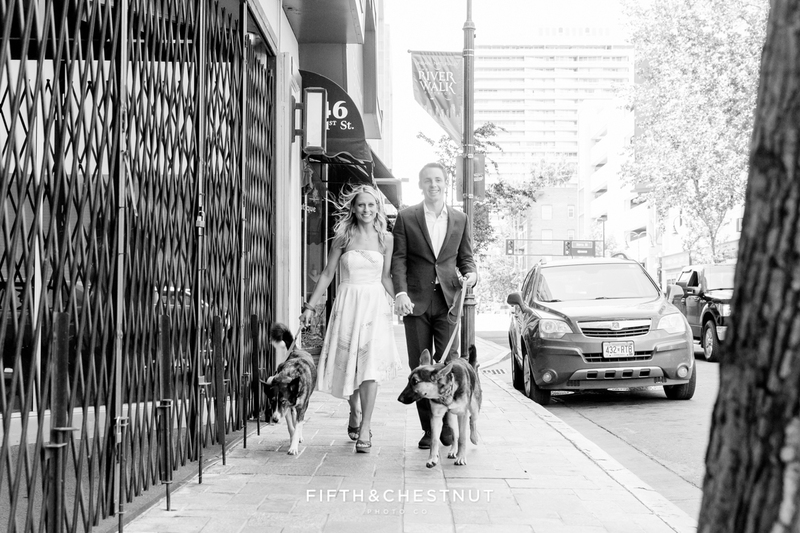 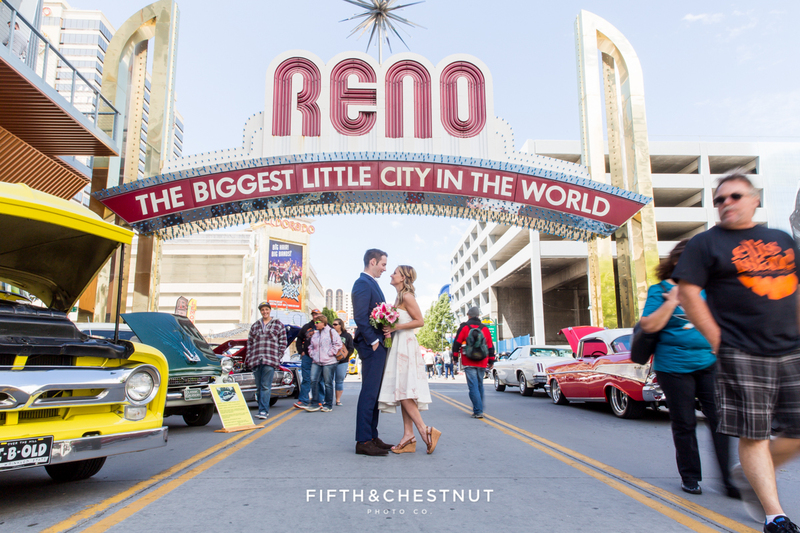 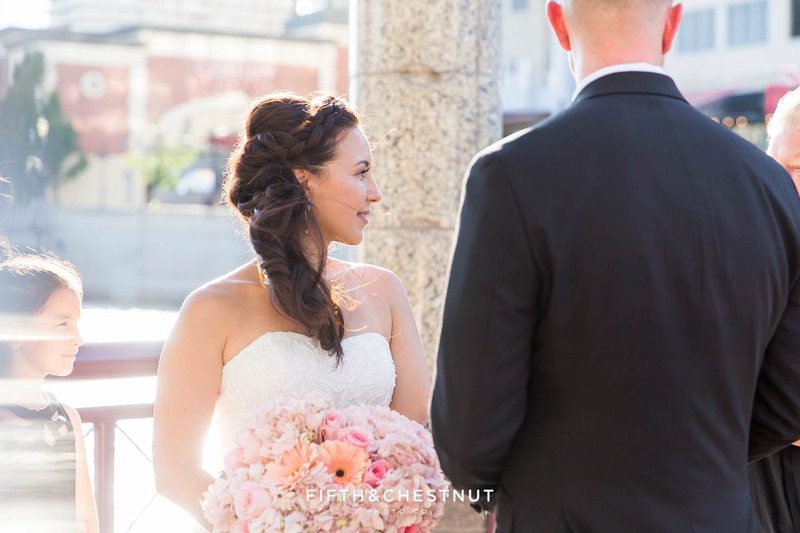 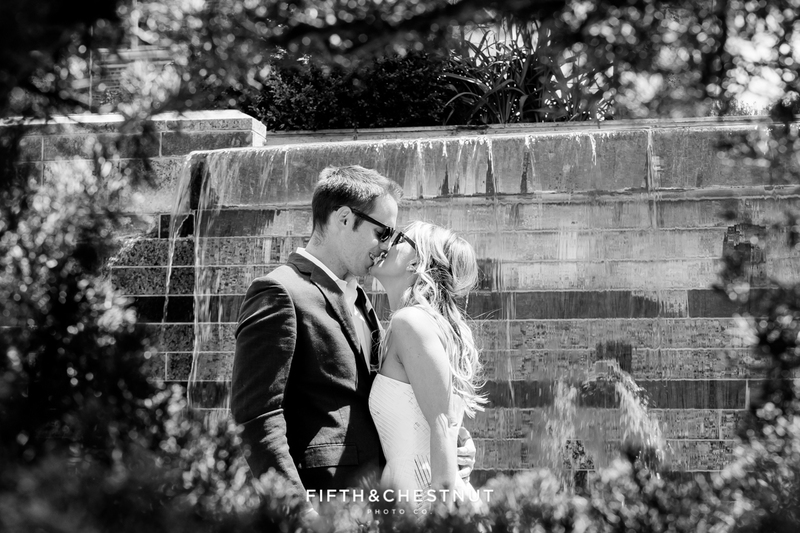 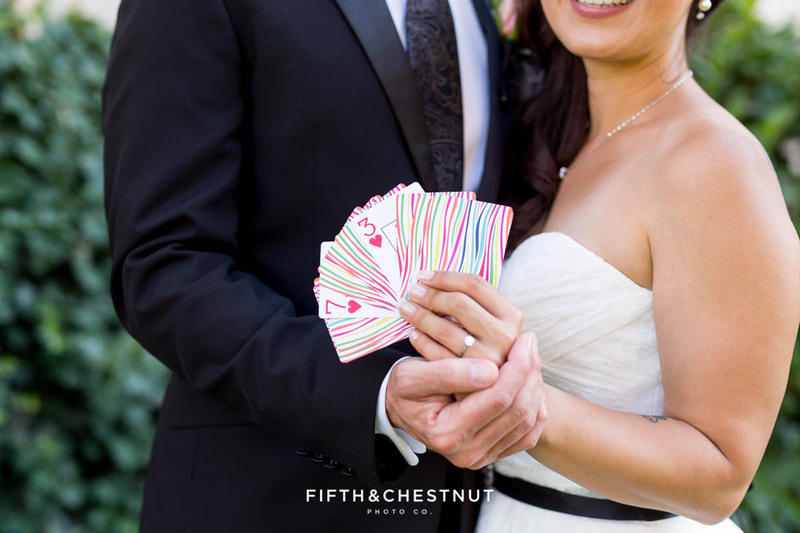 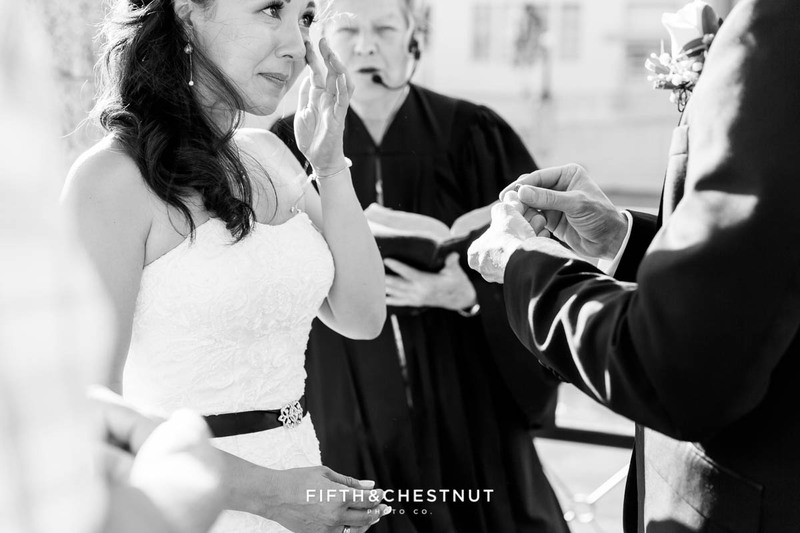 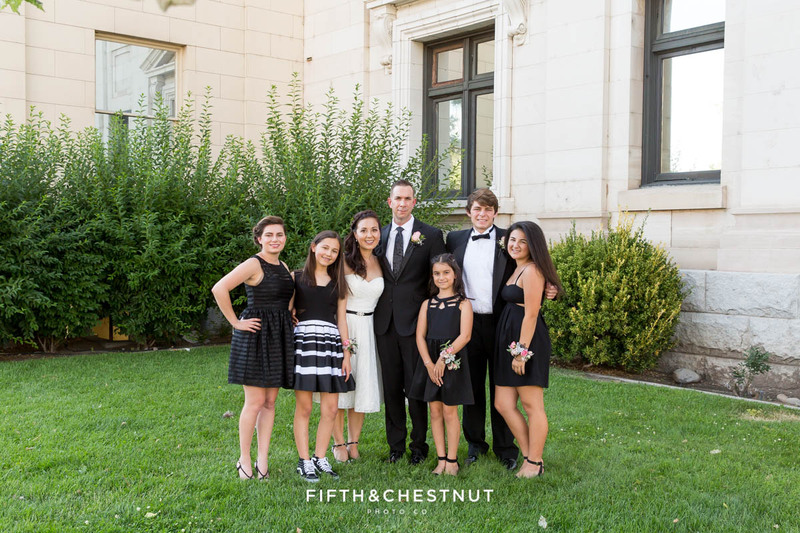 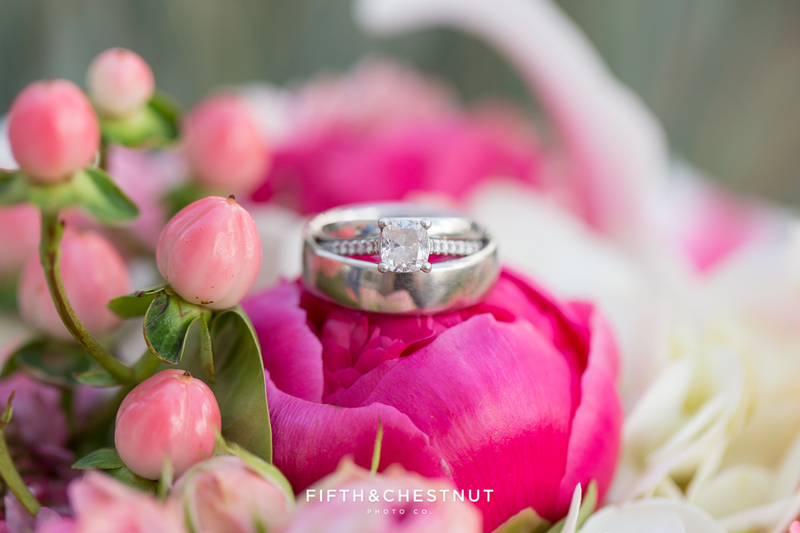 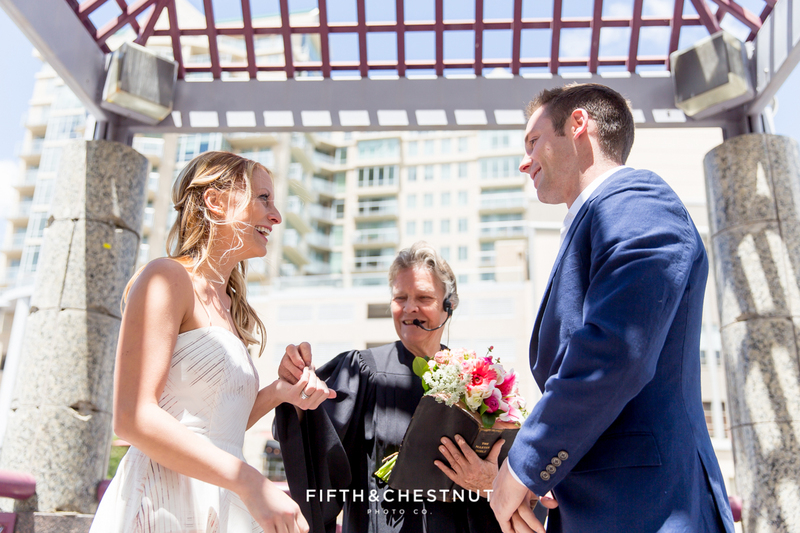 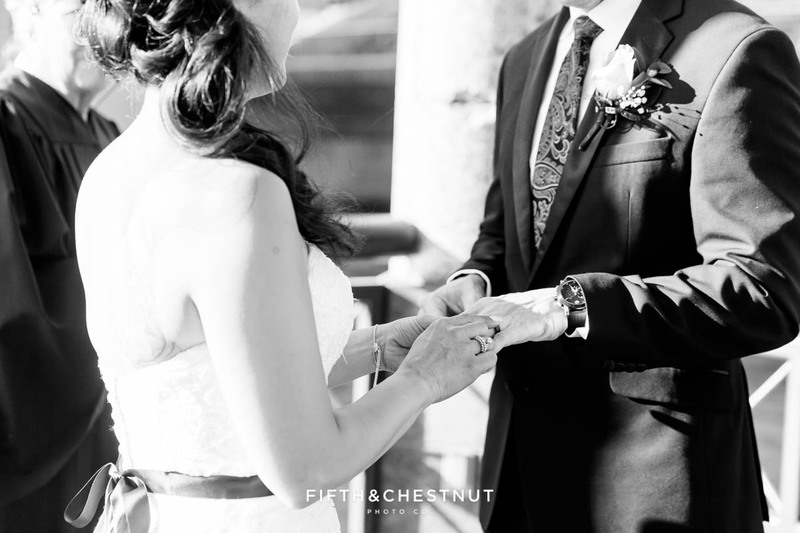 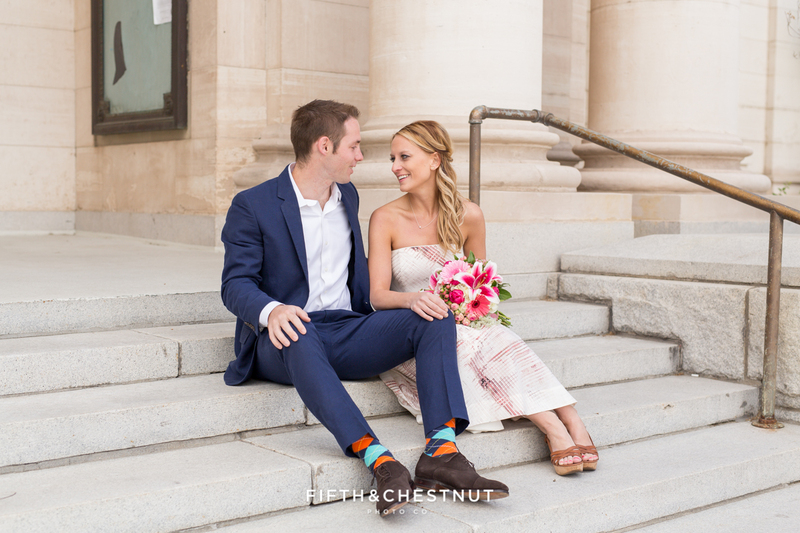 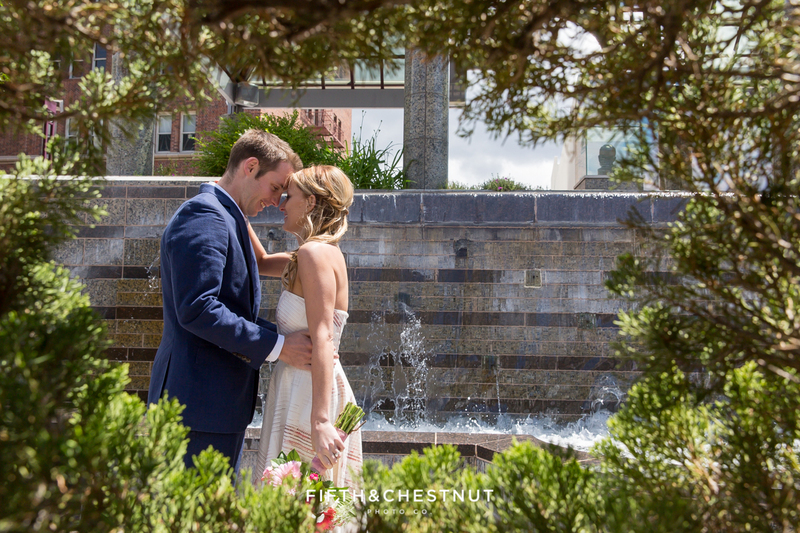 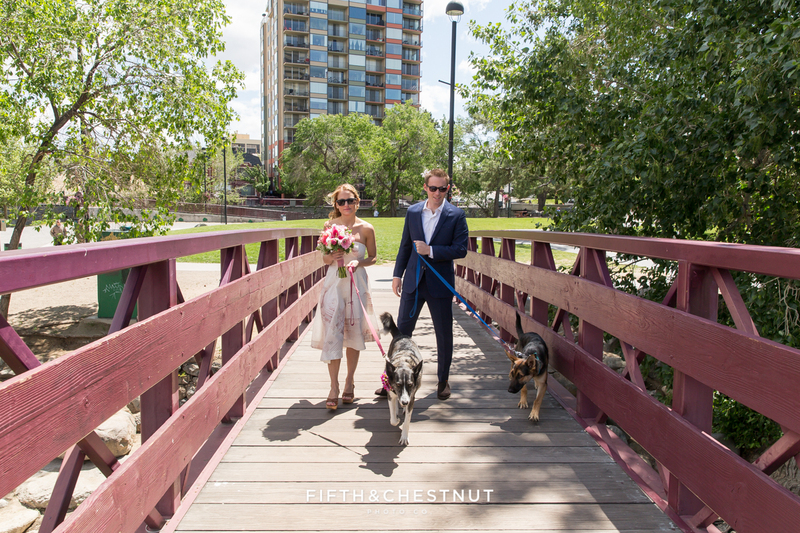 Fifth and Chestnut Photo Co. is a Reno Wedding Photographer team dedicated to photographing weddings in a style that combines modern portraiture and candid photojournalism. 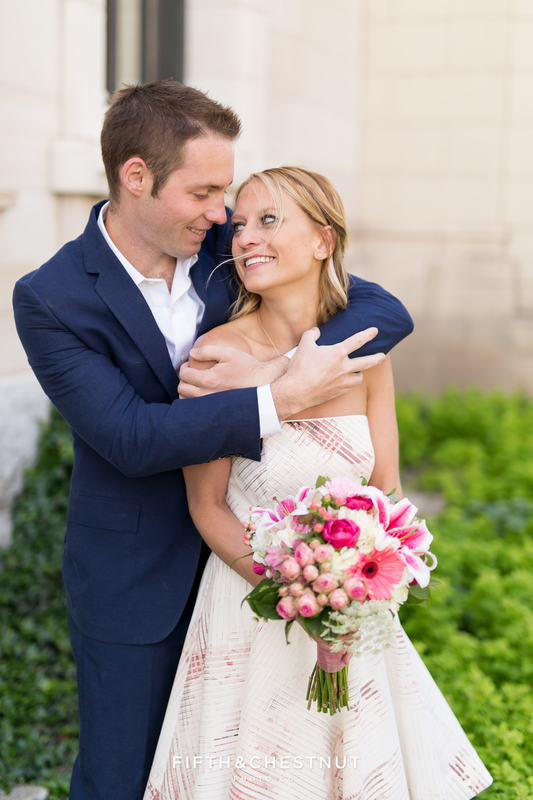 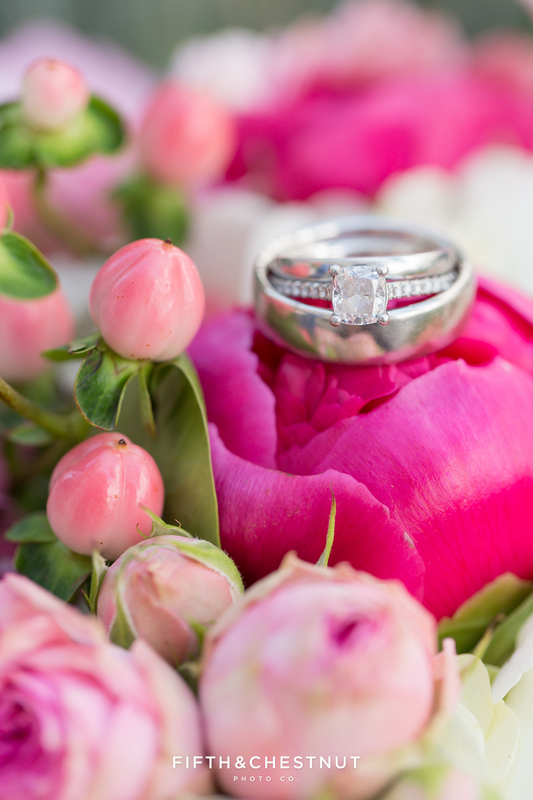 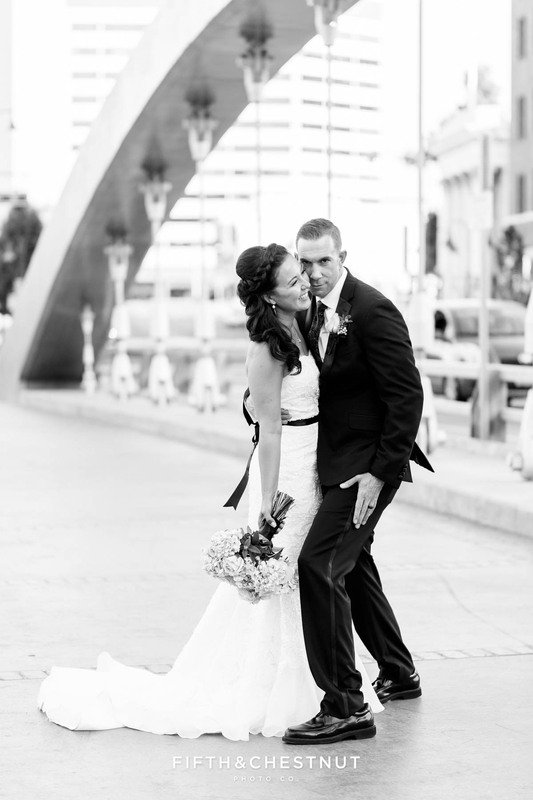 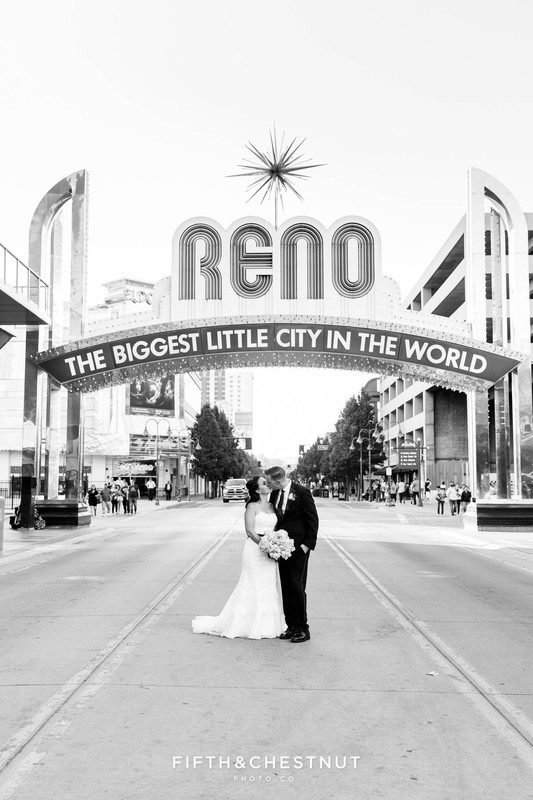 Are you currently seeking out your Reno Wedding Photographer or Reno Elopement Photographer? 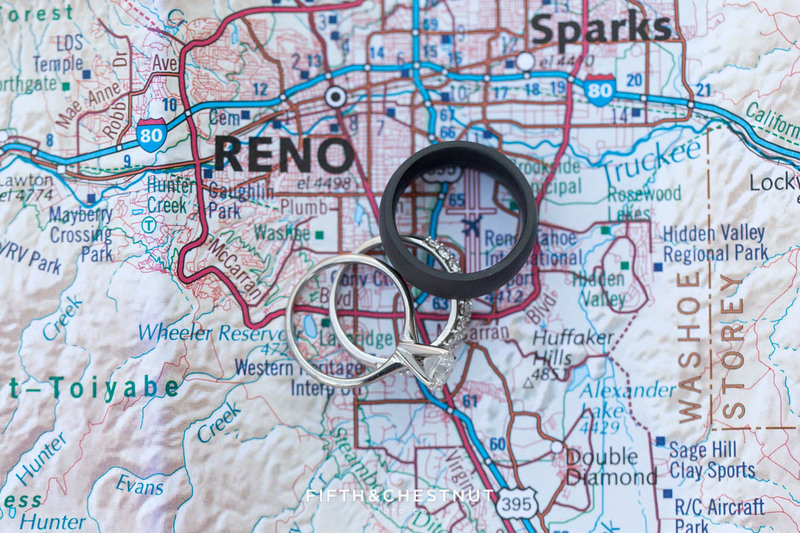 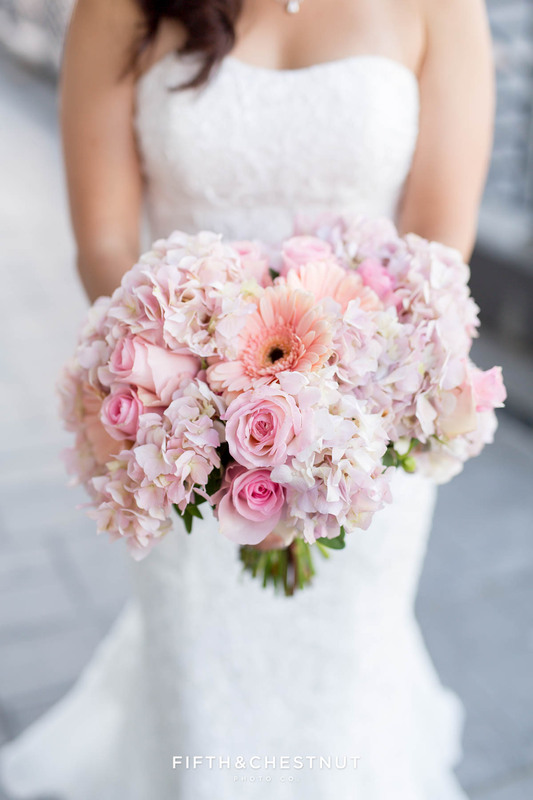 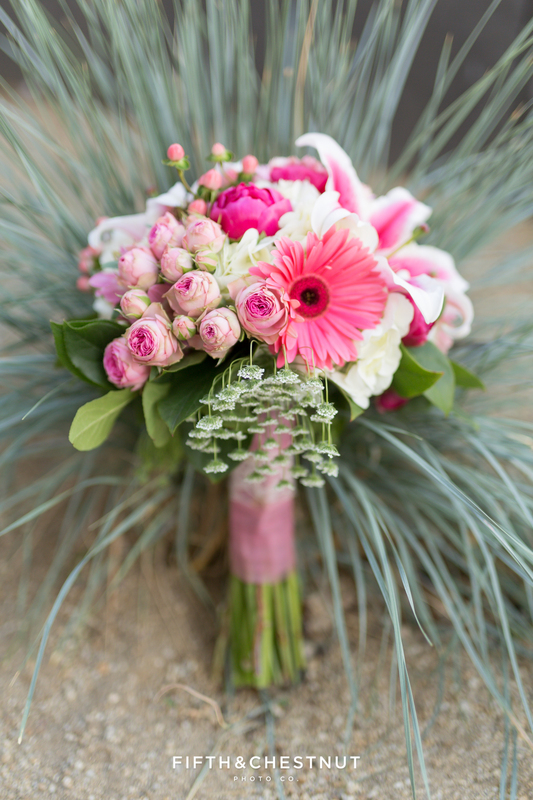 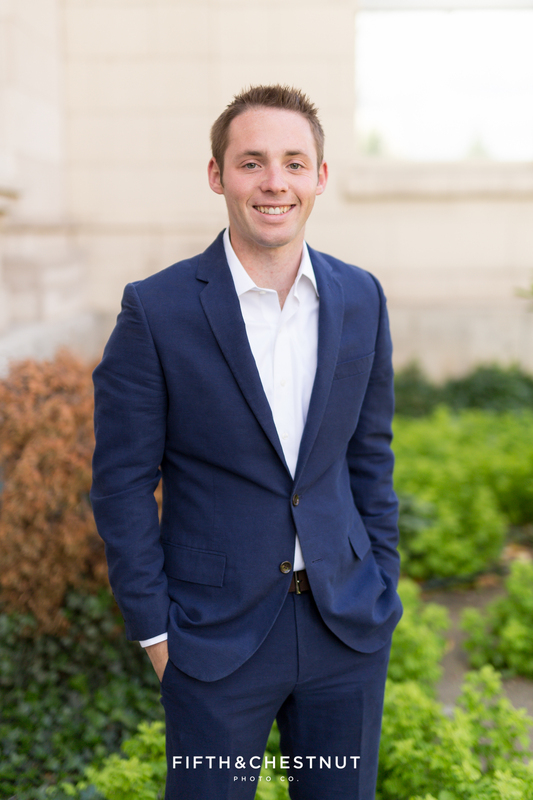 Contact us today to chat about your Reno Wedding or Reno Elopement Photography needs – also available in Northern Nevada or Northern California, including Lake Tahoe!